Disappointment on seeing a “shark-shaped” pencil case. Not shaped much like a shark. Not a very good pencil case. My shark is swimming here from China. I wrote this poem four weeks ago/then waited for its subject to arrive. 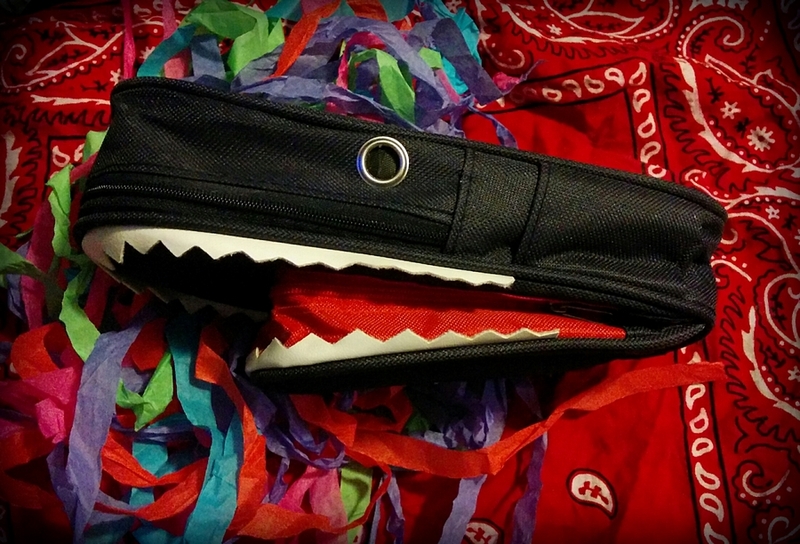 It turned out to be a very good pencil case, with two compartments (one in the mouth), and it really does look rather like a cartoon shark. This entry was posted in art and culture, photography, writing and tagged around the studio, photography, poetry, sharks, writing. Bookmark the permalink.